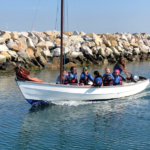 Y5 enjoyed a sun-drenched week away from school down on the Jurassic Coast in Dorset. 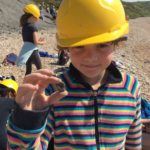 Based at the PGL centre overlooking the stunning Osmington Bay, the girls spent five night exploring some of the most interesting geological sites in the UK. 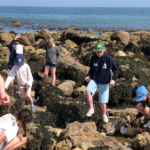 Fossil hunting, rock pooling and beach scavenging supported and extended learning about the unique formation of the coastline and brought to life the incredible history of the area going back as far as the dinosaurs! 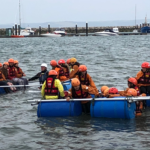 Alongside fieldwork,the girls pushed their team building and collaboration skills as they undertook a range of fun (and sometimes hair raising) activities including high wiring, sailing, raft building and climbing. 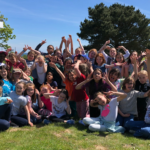 The girls also enjoyed letting their hair down at the disco on the last night. 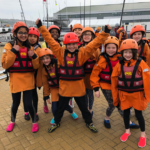 A huge thank you to Miss Nayler, Mrs Duffy, Mrs Byrne and Mr Garrard for leading such a special trip.